Thanks to the superb optical system and rugged construction, the Swarovski Optik SLC 7x42 is a very reliable, efficient and a sturdy binocular. This Swarovski binocular has 7x magnification and a 42mm objective lens diameter for exceptional quality of images and great comfort. With thumb rests on the underside and depressions on the top of the rubber armouring, this Swarovski 7x binocular offers optimum and secure handling capability. The Swarovski Optik SLC 7x42 features Swarobright coating or Swarodur coatings for supreme color fidelity with great high contrast images. 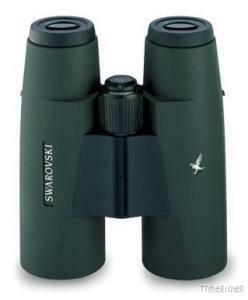 Increase the life of the optics for the consistent results as this Swarovski 7x binocular has nonstick Swaroclean coating. This Swarovski binocular is nitrogen-purged that makes it fog proof. All thanks to the sturdy metal housing, the Swarovski Optik SLC 7x42 is waterproof too.